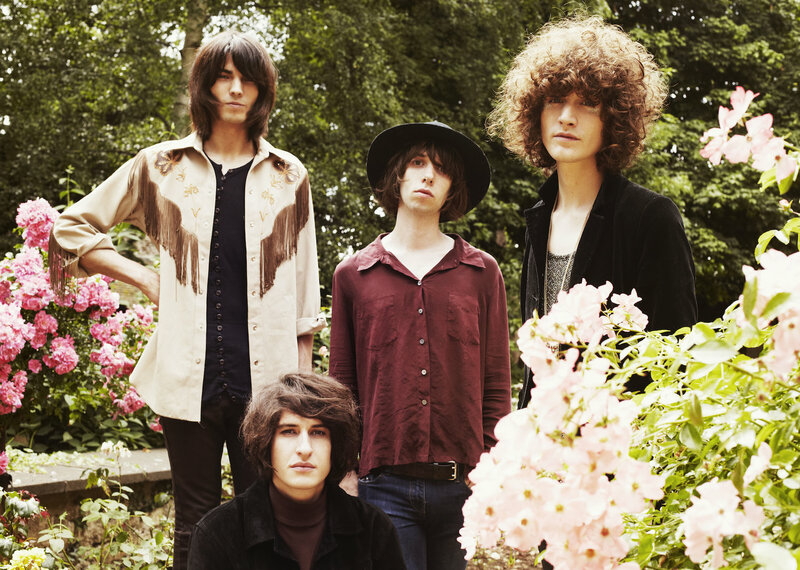 Originally from Kettering, England, the psychedelic rock band Temples was born in 2012 when the singer James Edward Bagshaw met the bassist Thomas Warmsley. Temples is now considered one of the best British formations. We did an interview with James Bagshaw about the band’s second album “Volcano,” their influences, and writing more personal lyrics. Who: Your first album “Sun Structures” was very well received by the public. How did you approach your second full-length album “Volcano” after having such a success? James: We approached “Volcano” no differently than we did the first record. You always have some kind of pressure, but it is put in yourselves as songwriters! We knew we didn’t want to repeat the aesthetic of the first record, and this made us work towards creating a less nostalgic production style. Lola Who: Did you have a particular sound and atmosphere in mind when you started working on Volcano? James: The sound of Volcano came about very organically. The songs morphed from something that sounded a little like “Sun Structures” into what “Volcano” is now! I think we wanted to make music that is timeless as opposed to being heavily retrospective. Lola Who: I read somewhere that you guys wanted to achieve a more “modern” sound. Why was it important for you guys to distance yourselves from that 60s and 70s sound and how did you achieve that? James: We were looking forward to this album. We still listen to a lot of music from the past 1940s to now. I think we knew the ways around sounding to ‘old fashioned’ this time! The drums and the sub frequencies on this record definitively make it a modern record. I think we wanted to make music that is timeless as opposed to being heavily retrospective. Lola Who: Why did you decide to name your album “Volcano. What’s the story behind the name? James: Simple, stark, striking and cinematic. The word conjures all kinds of imagery. Lola Who: The lyrics on “Volcano” feel more introspective and personal. What was your state of mind and was there a particular event that influenced you to write those lyrics? James: I think we all write in very different ways, but we felt the need to be more direct with the lyrics. There wasn’t a single moment that made us wrote like this, I think it’s that we are more adapted to sharing personal emotions! Lola Who: Where do you normally draw your inspiration when you write lyrics? Lola Who: What came first on “Volcano”; the lyrics or the music? Lola Who: Why did you decide to self-produce your two albums instead of relying on a producer? Do you feel like it’s less authentic when you work with a producer? James: Production is as important as the song! We wouldn’t approach anyone to write a chorus, so why would we get a producer in! Lola Who: Was the production of Volcano any different than from your first album “Sun Structures”? James: It was the same in essence, we worked on songs and they organically turn into what you imagine they should sound like! The main difference though is that we didn’t want to follow conventions with regards to how something should sound, there are many synthetic sounds on this record, but they are guitar! We wouldn’t approach anyone to write a chorus, so why would we get a producer in! Lola Who: Would you ever consider working with a producer, and if so, who? James: Possibly, Tony Visconti, Blake Mills, T-bone Burnett, They all make great sounding records! 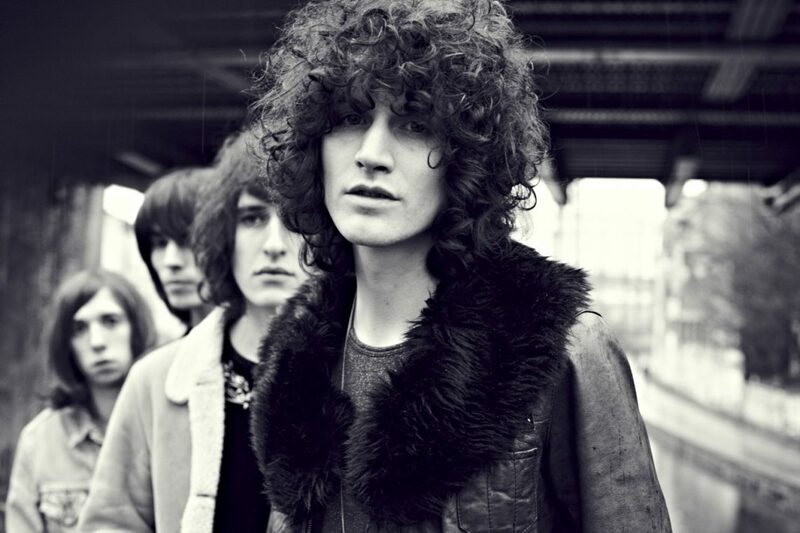 Check out our album review of Temples – Volcano!